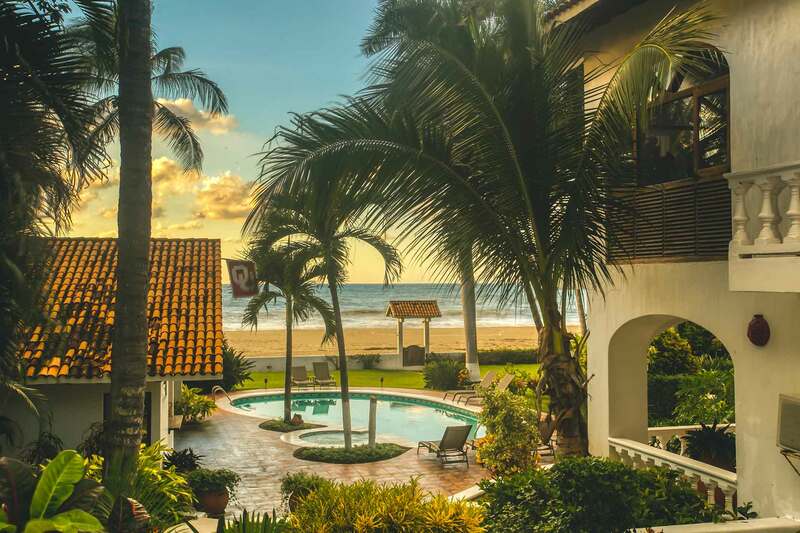 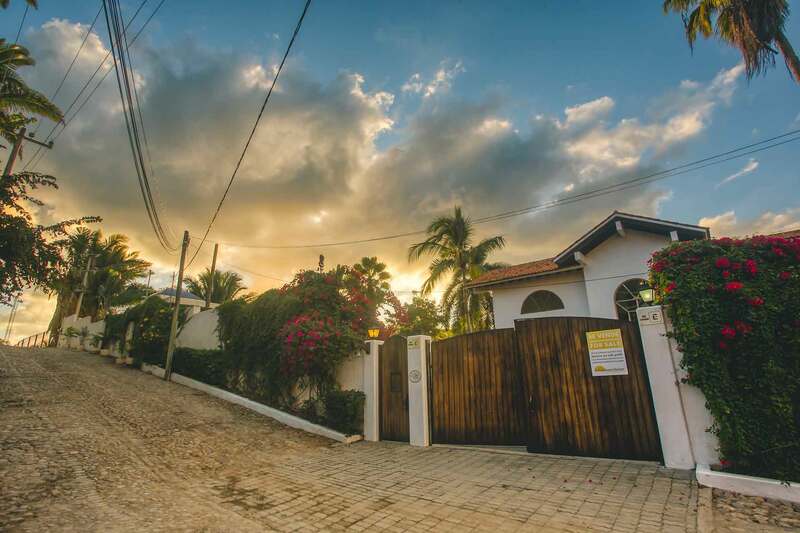 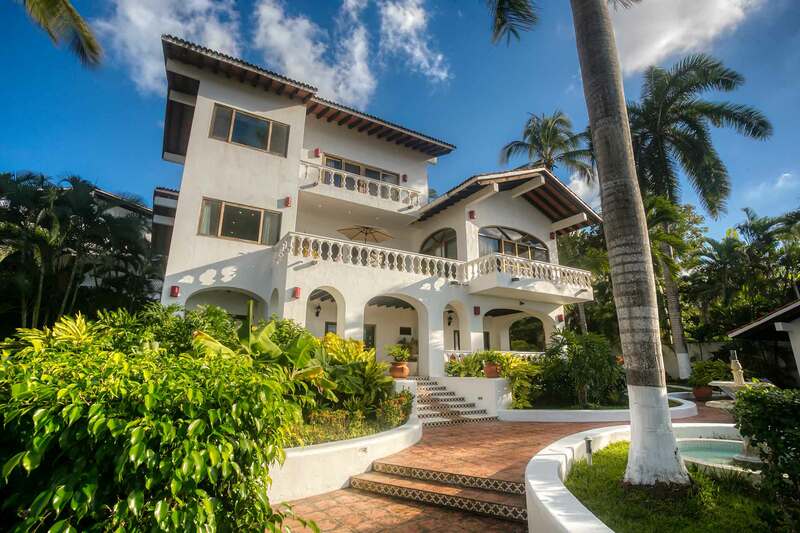 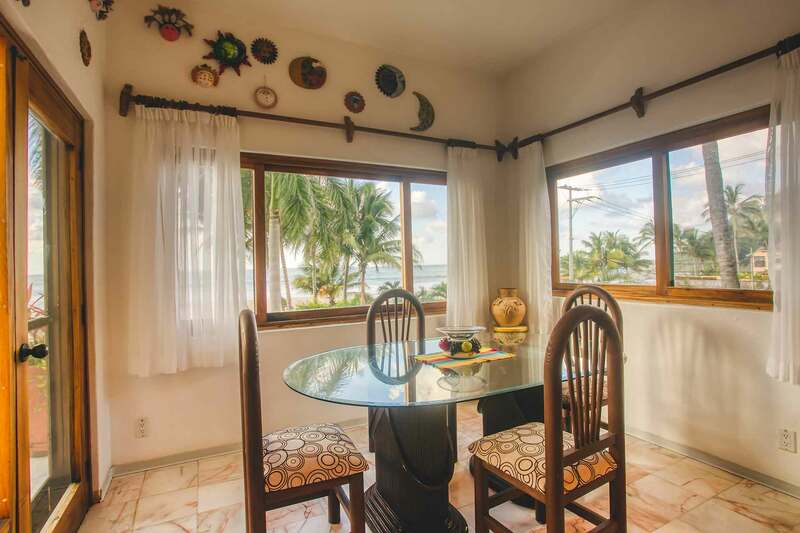 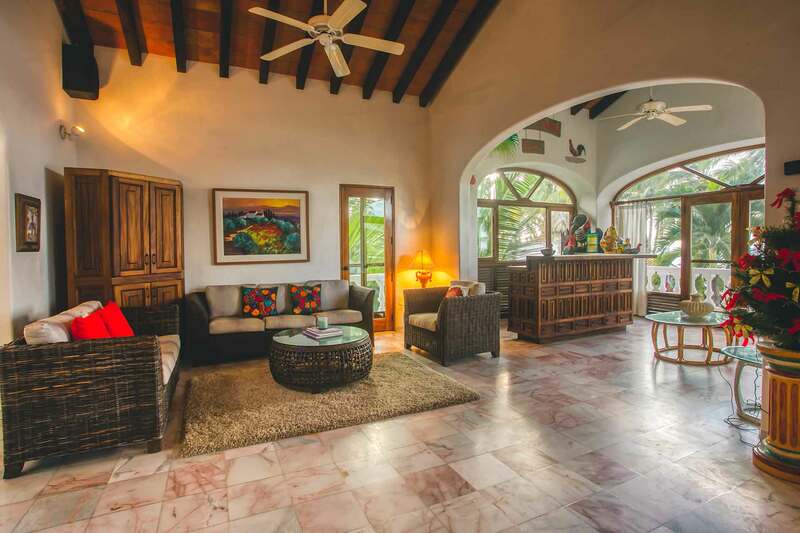 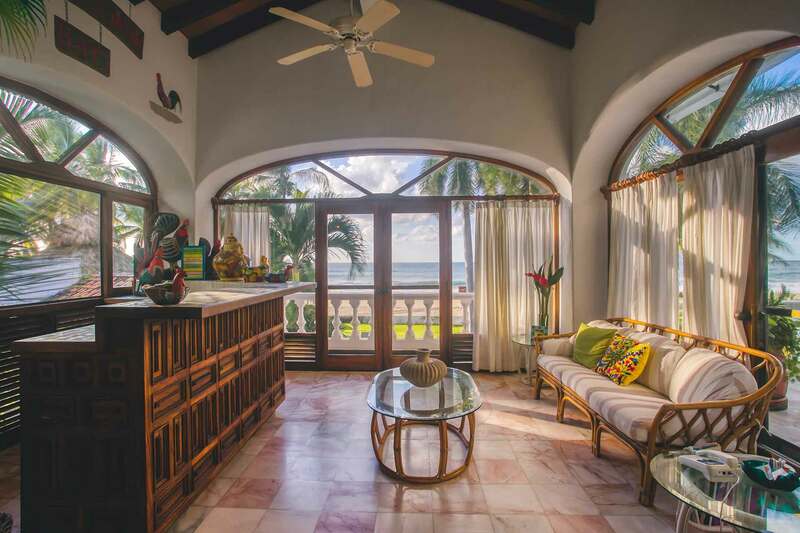 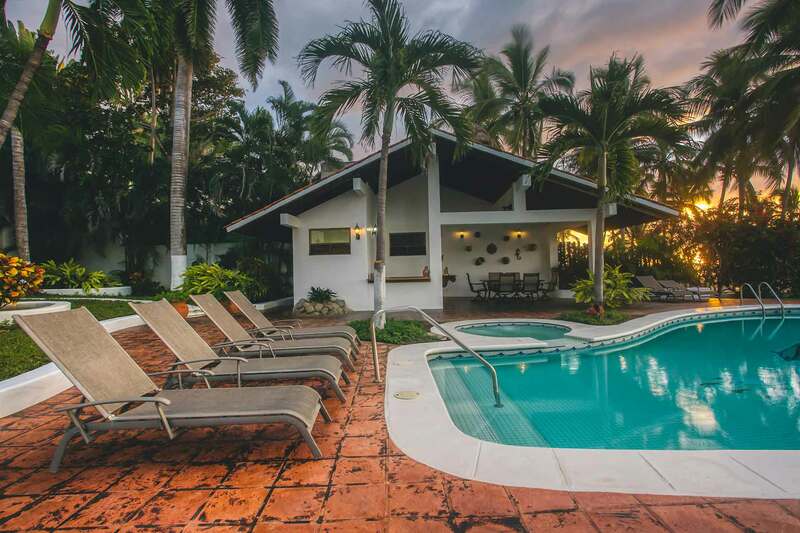 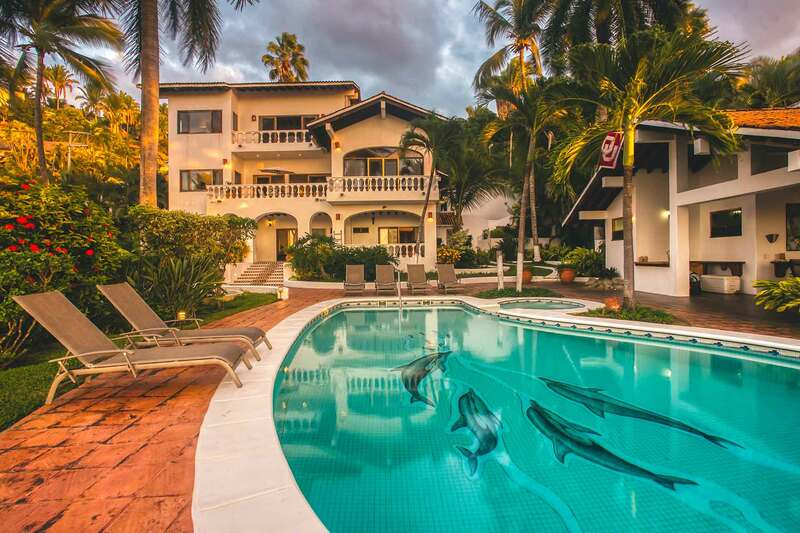 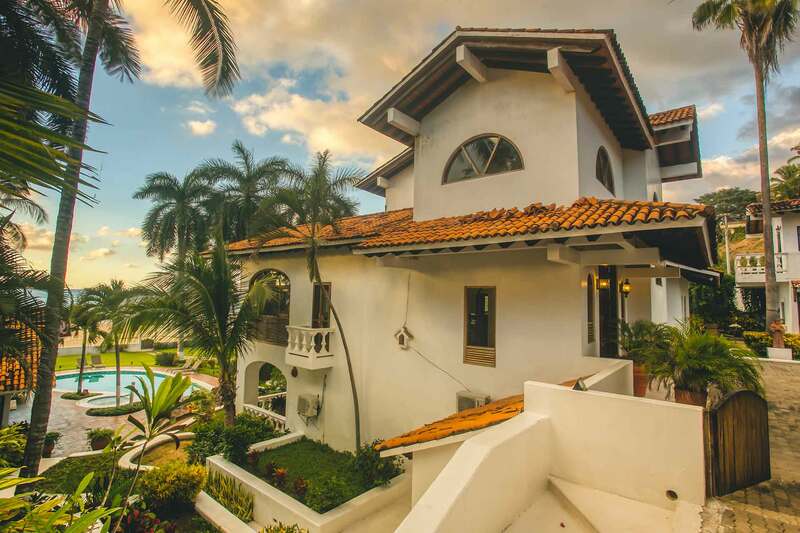 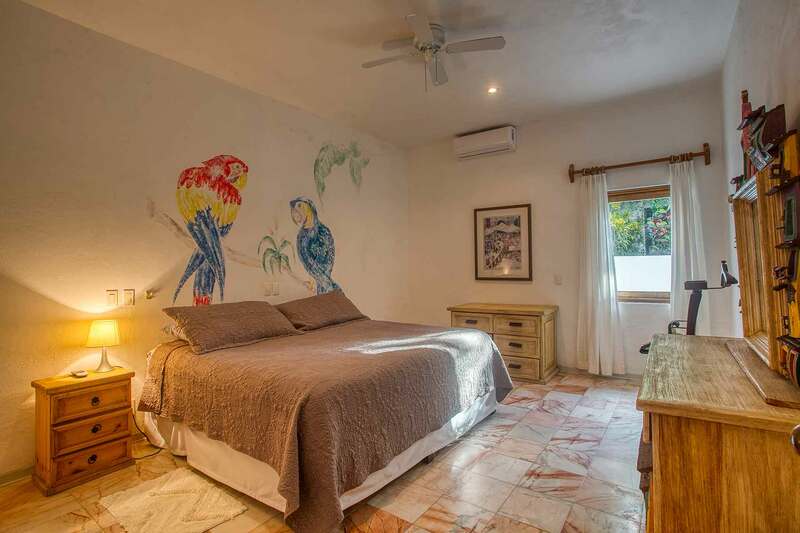 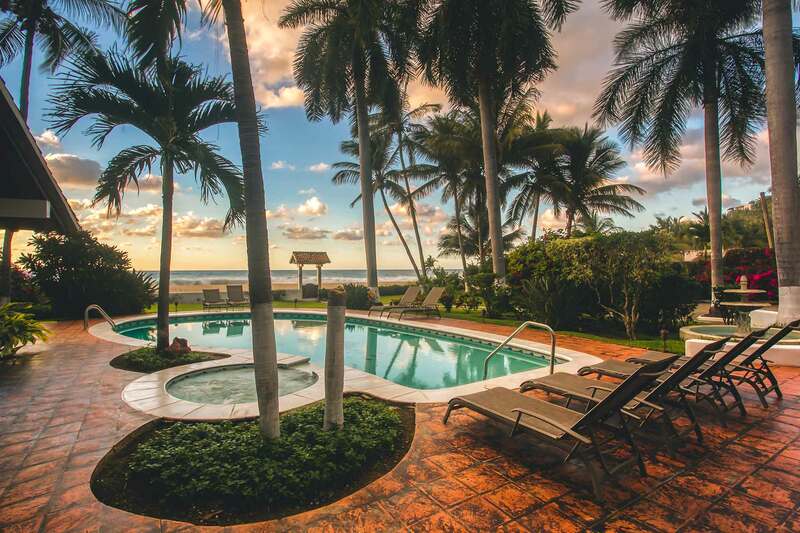 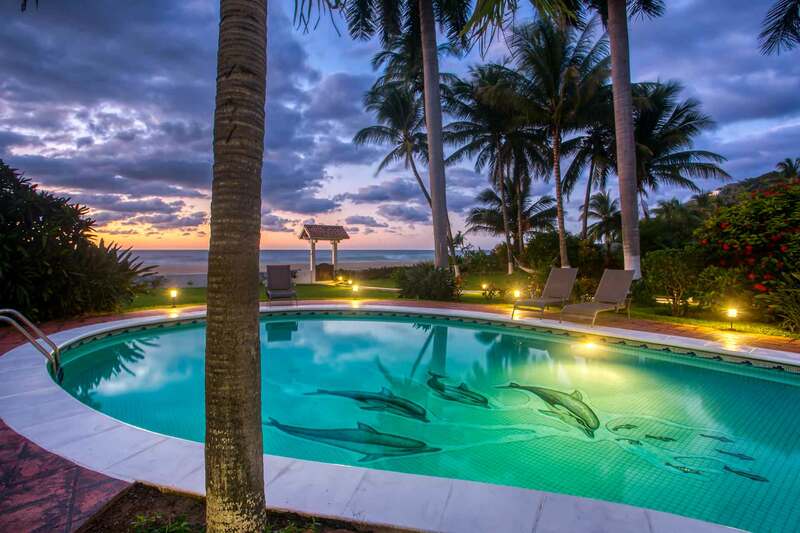 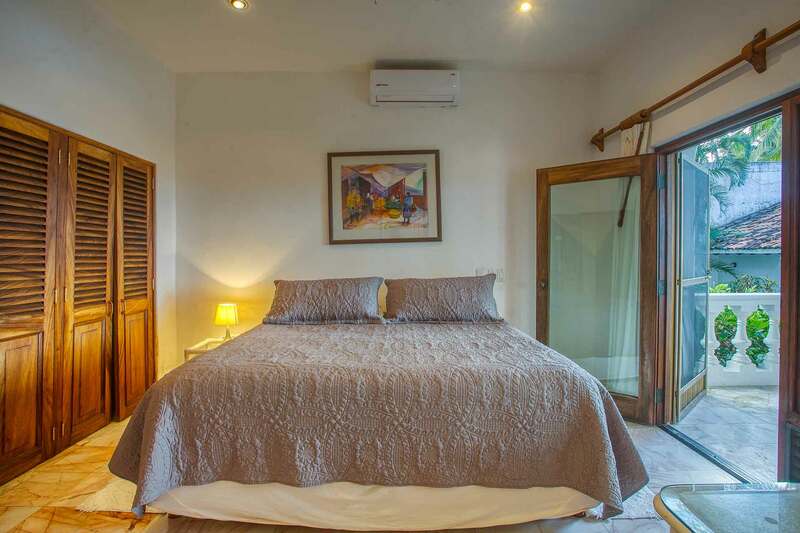 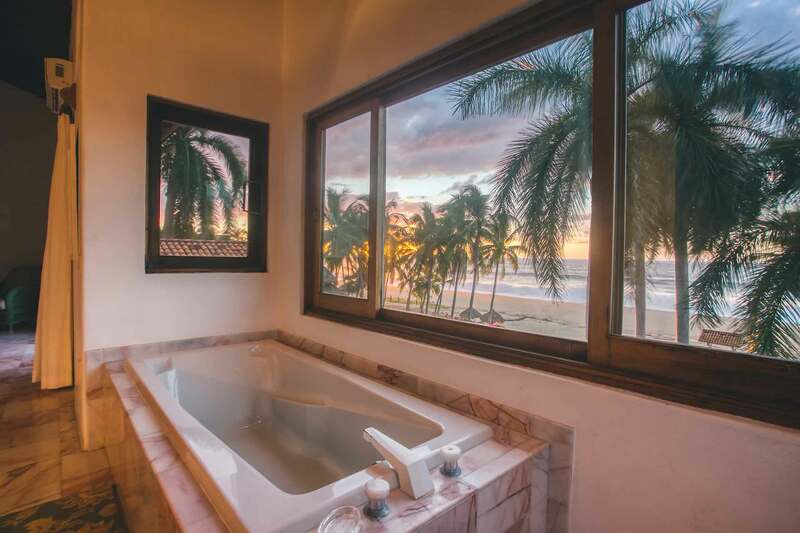 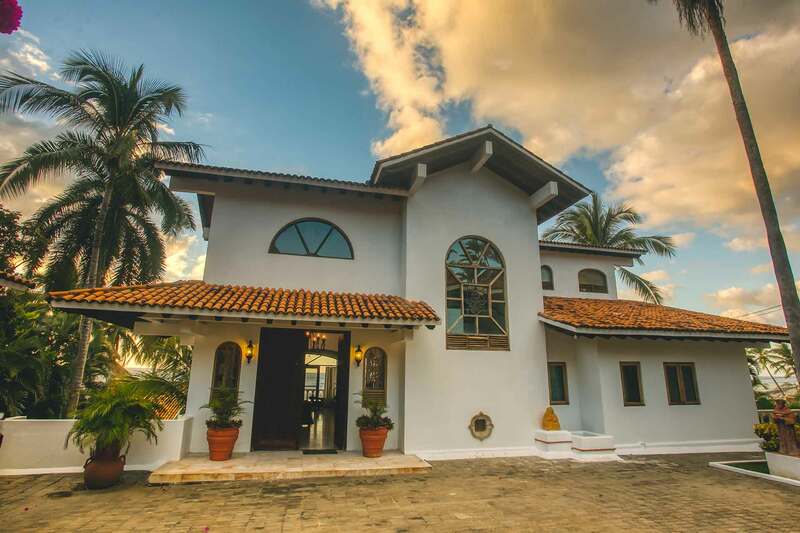 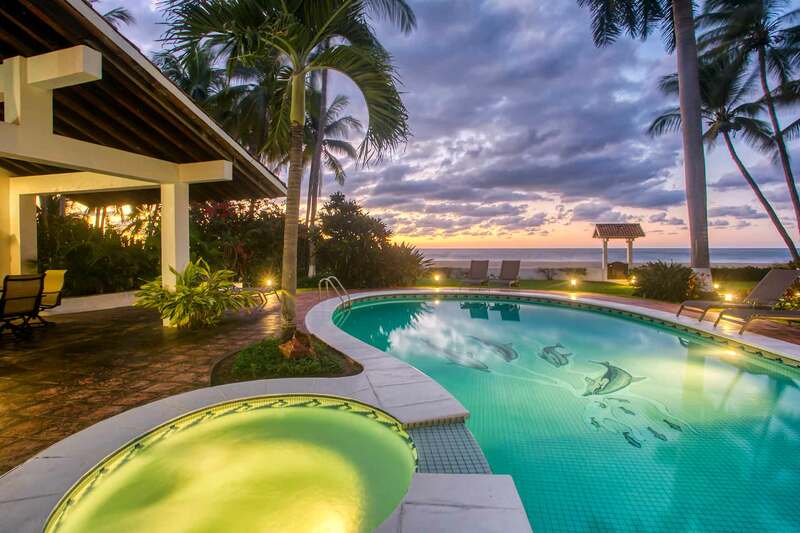 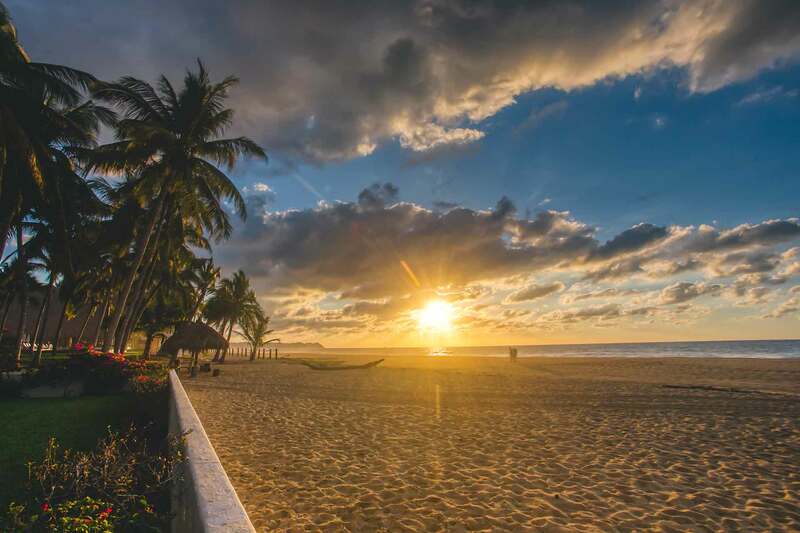 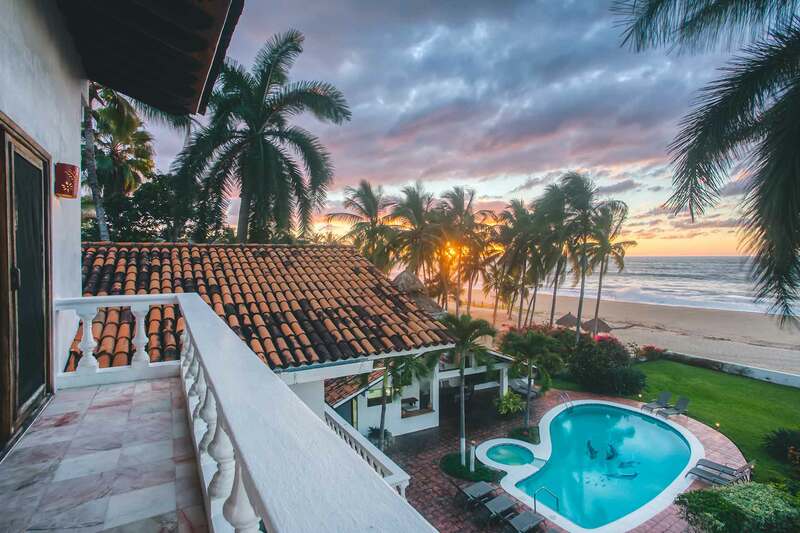 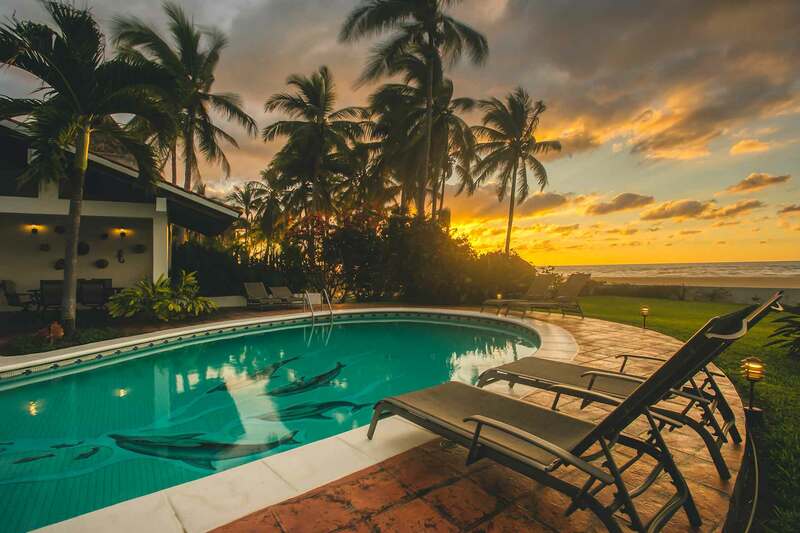 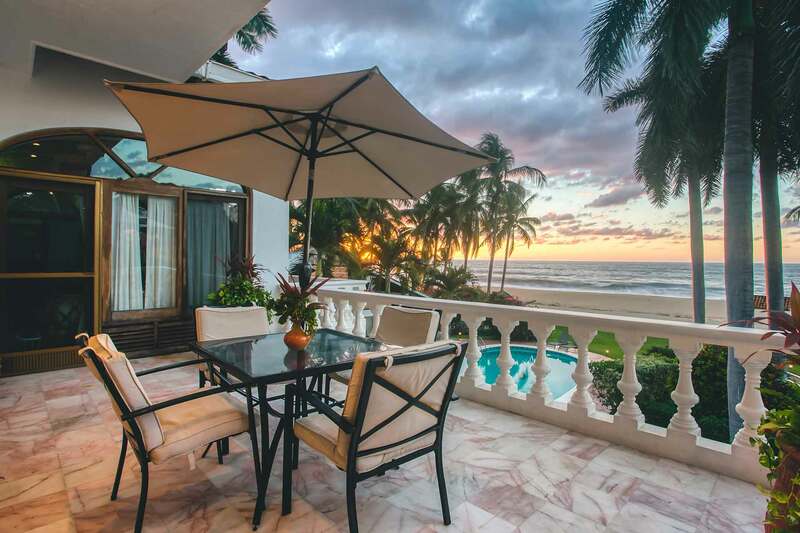 Villa de Roja is one of the few villas located right on the pristine San Pancho beach. 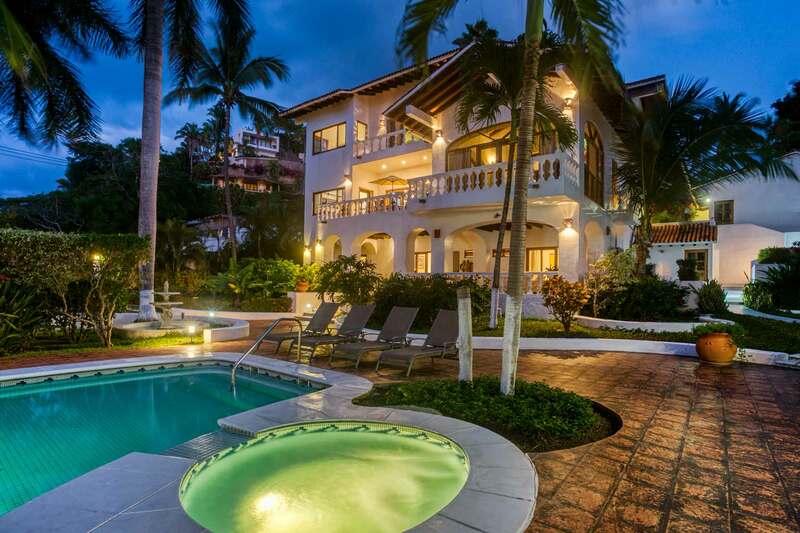 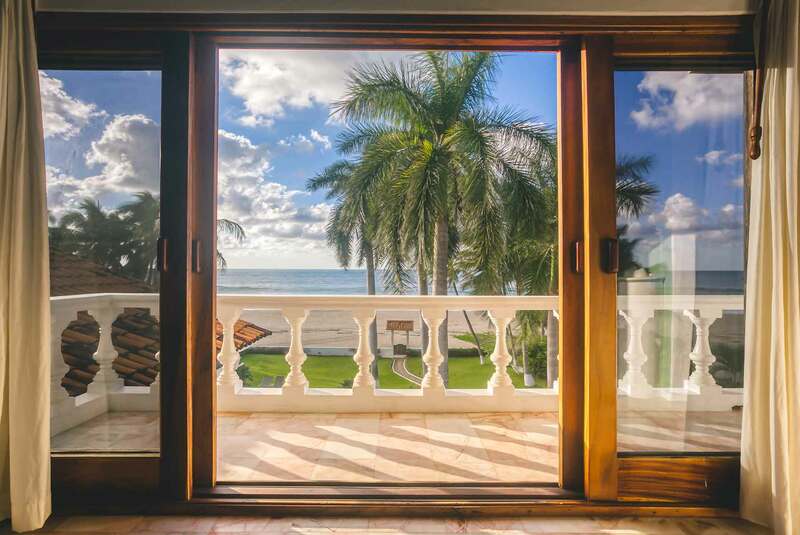 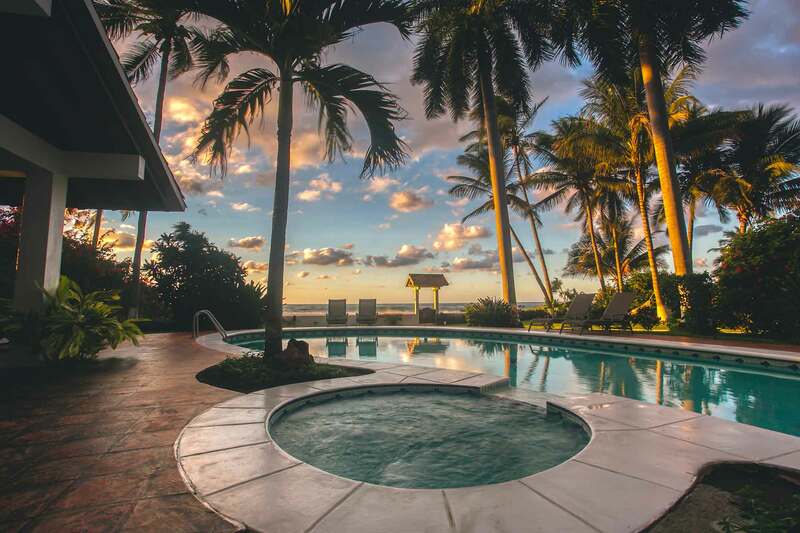 This villa is an oasis of luxury with incredible ocean views to the front, and a tropical jungle in the background. 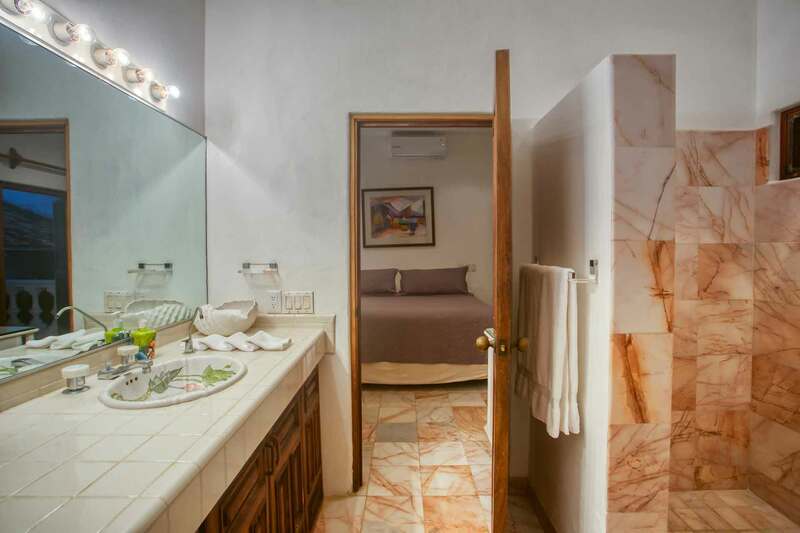 Every aspect of the villa was designed to offer first class accommodations and luxury. 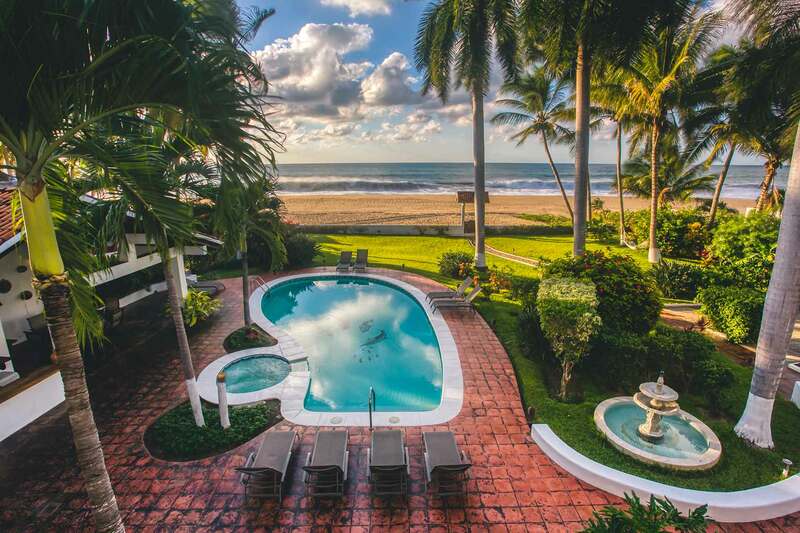  The garden area along the beach hosts a fine manicured lawn, swimming pool, Jacuzzi, fountain, and poolside cabana. 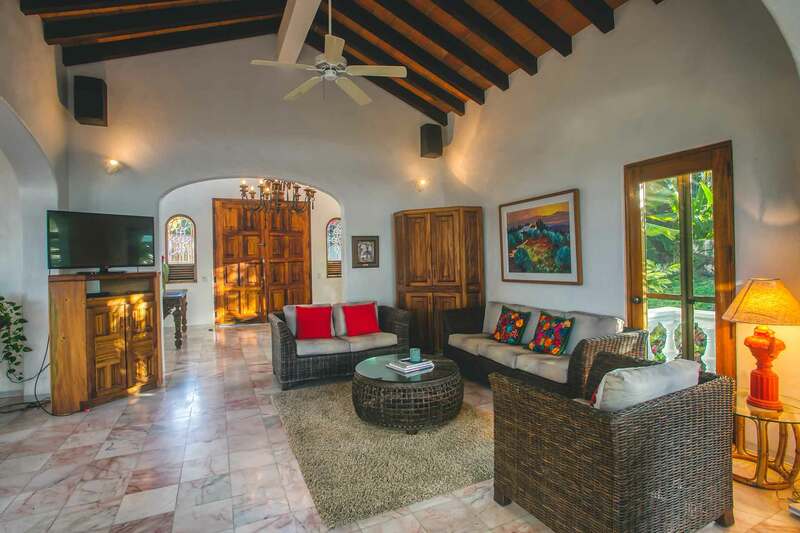 Villa de Roja was built with the finest materials and imported fixtures, which are incorporated into the 6000 square feet of living area. 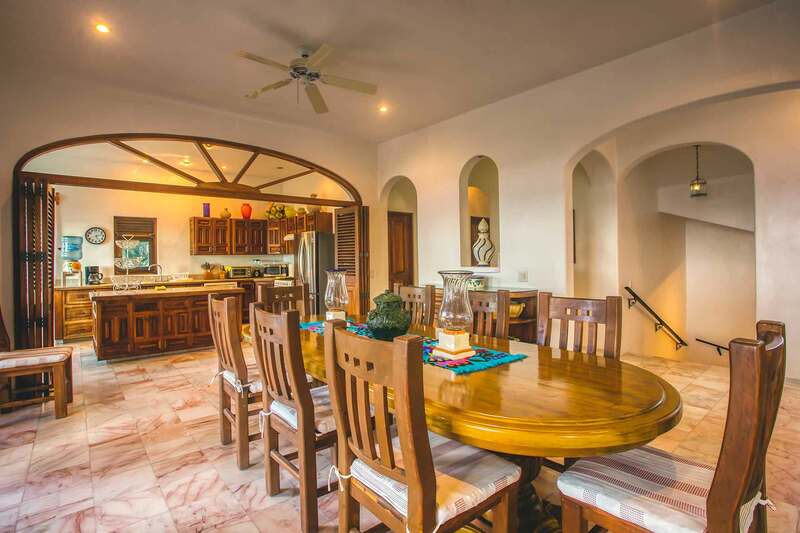 The main floor features high vaulted beam ceilings, spacious terraces, marble floors, and a gourmet kitchen. 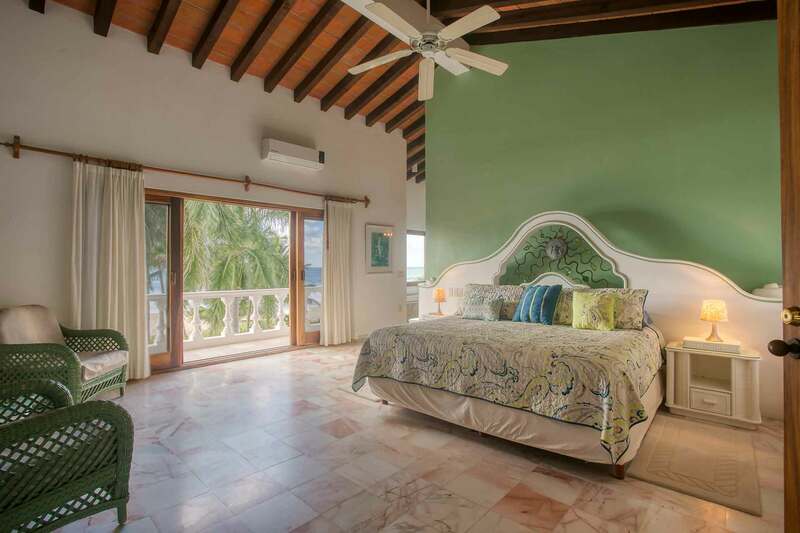 The private, master bedroom suite is located on the top floor overlooking the gardens and the beautiful blue Pacific. 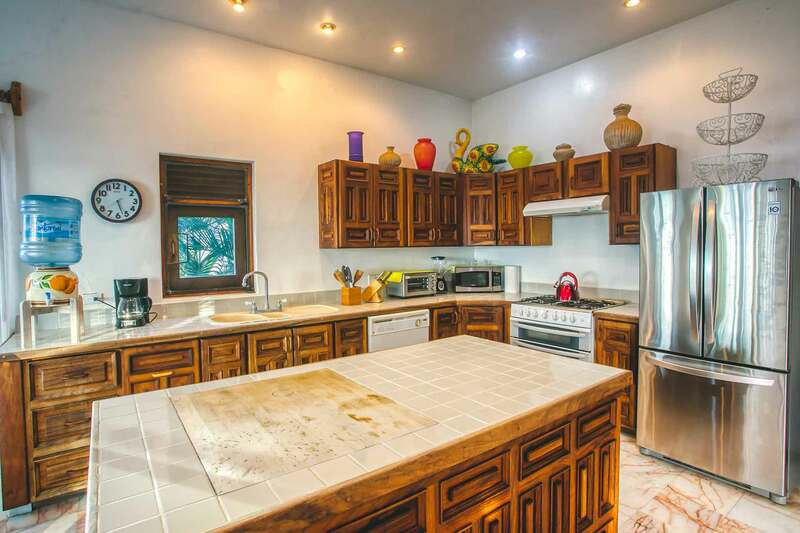 The entry level below hosts the den, living room, kitchen, bar, laundry room and powder room. 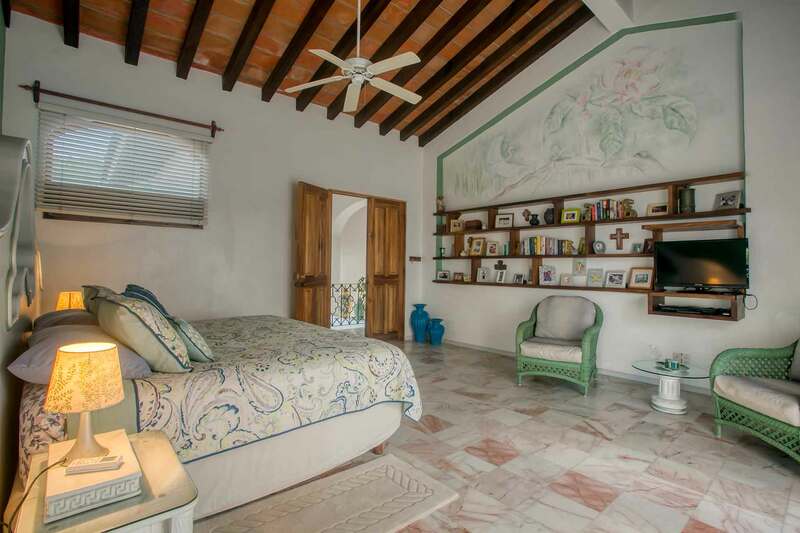 Below the main level are four more bedrooms, two bathrooms and a private covered terrace leading to the pool. 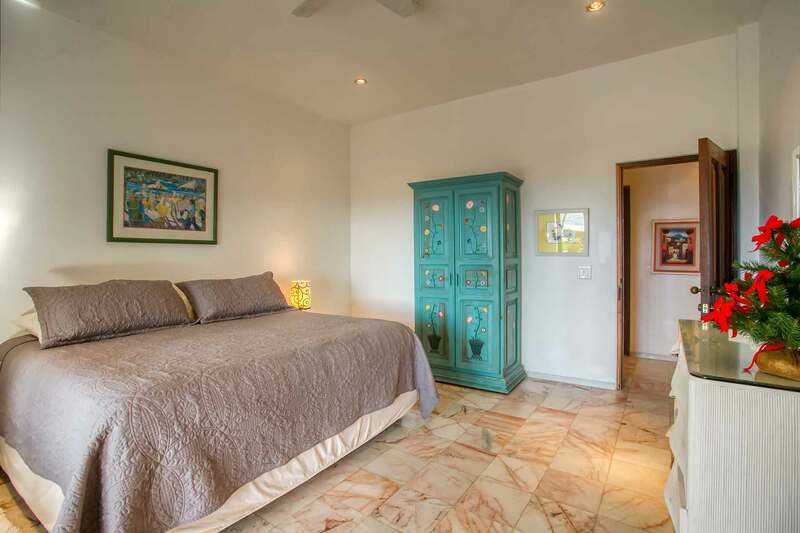 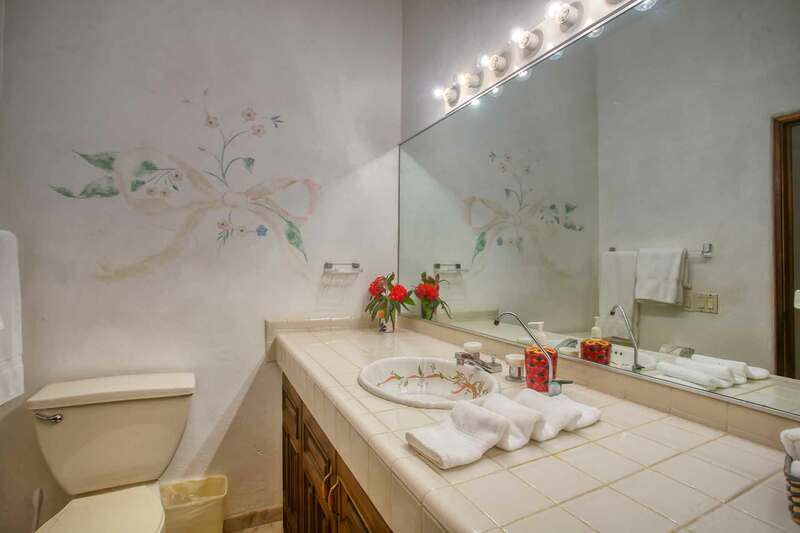 Two bedrooms share a jack-and-jill full bathroom and the other two bedrooms share a full bathroom down the hall. 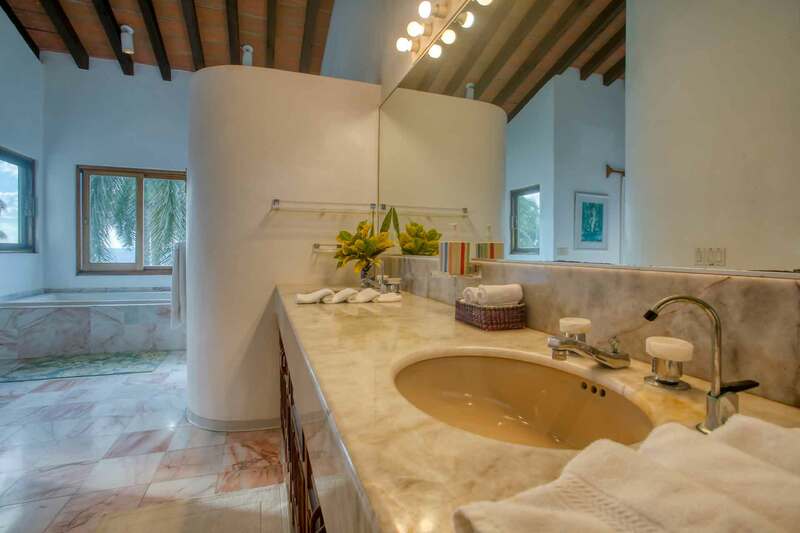 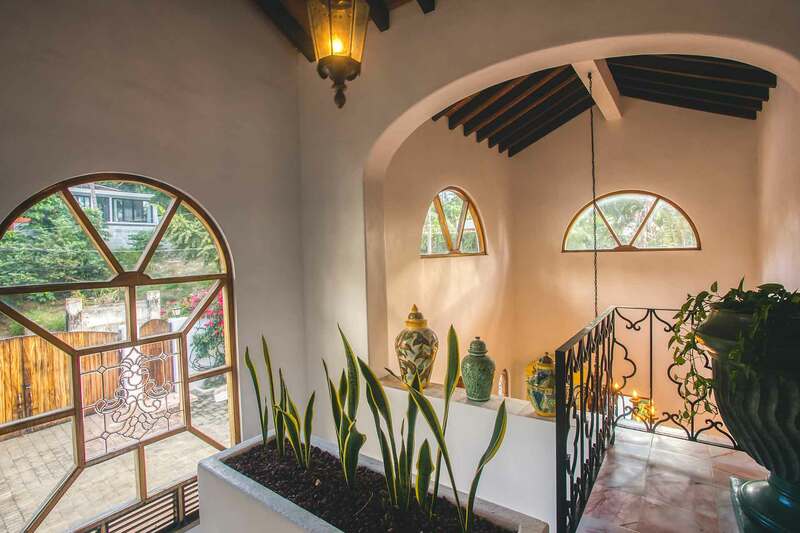 Villa de Roja offers the best of modern day conveniences while preserving the Mexican experience. 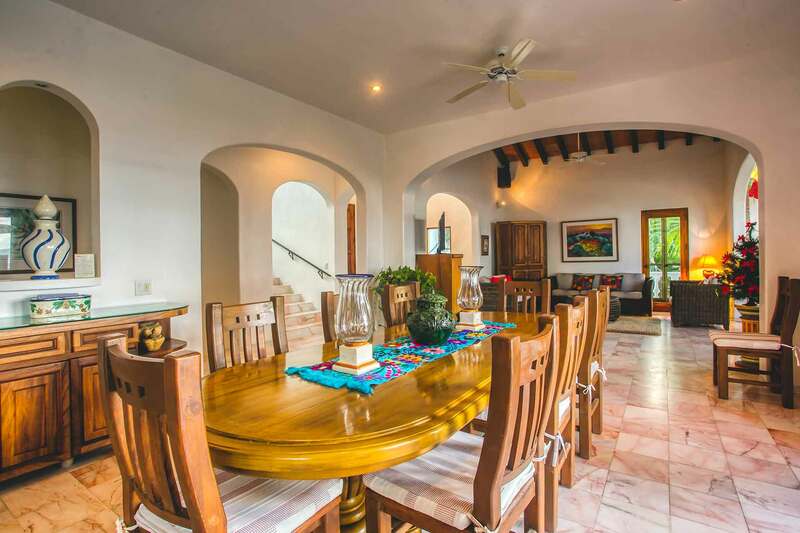 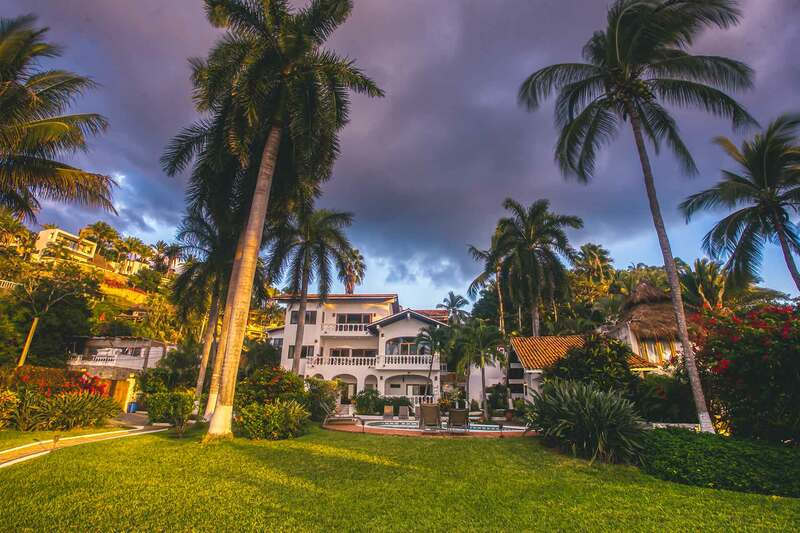 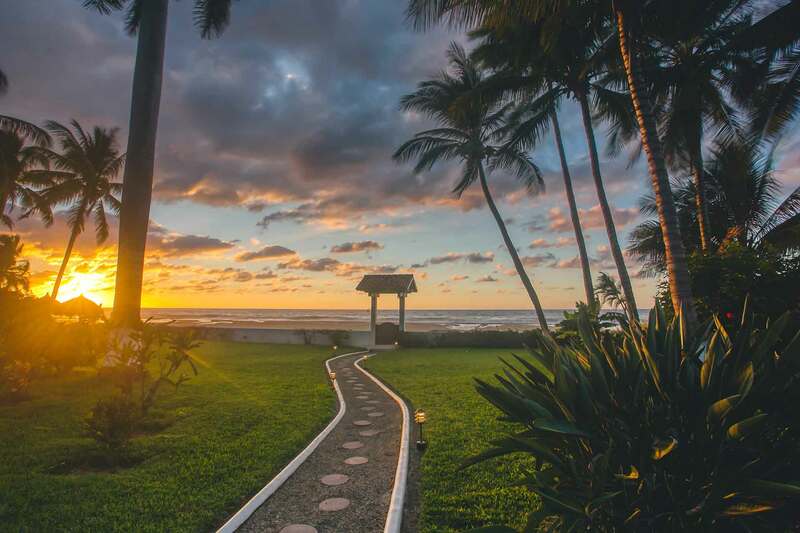 Villa de Roja is the perfect choice for a romantic vacation, family gathering, corporate event, and/or wedding. 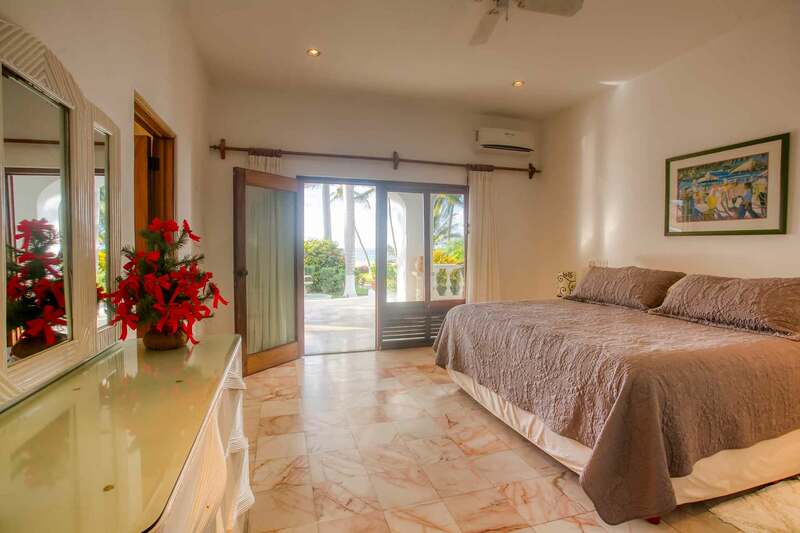 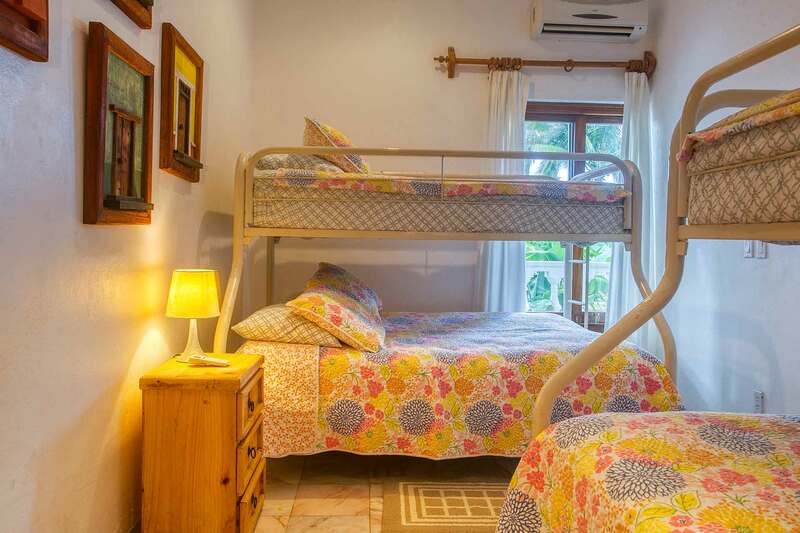 This villa can also be rented as a three bedroom home. 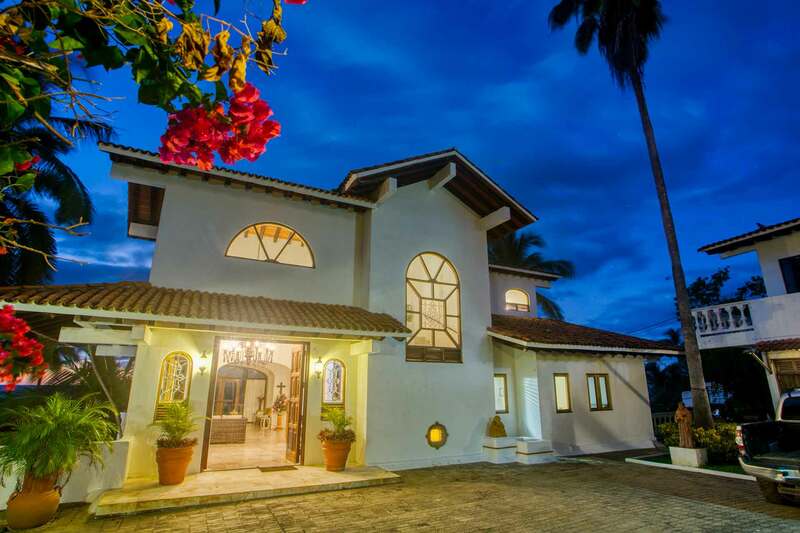 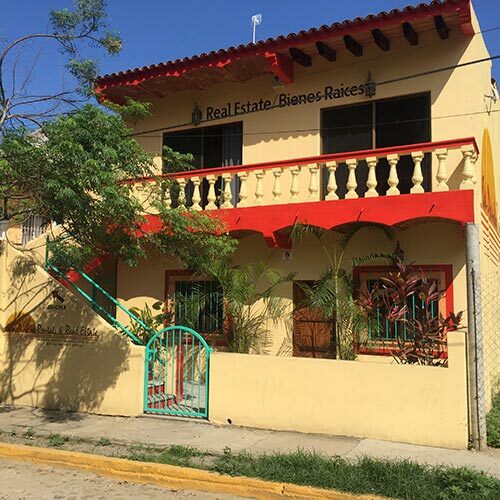 For more information please view Villa de Roja III.